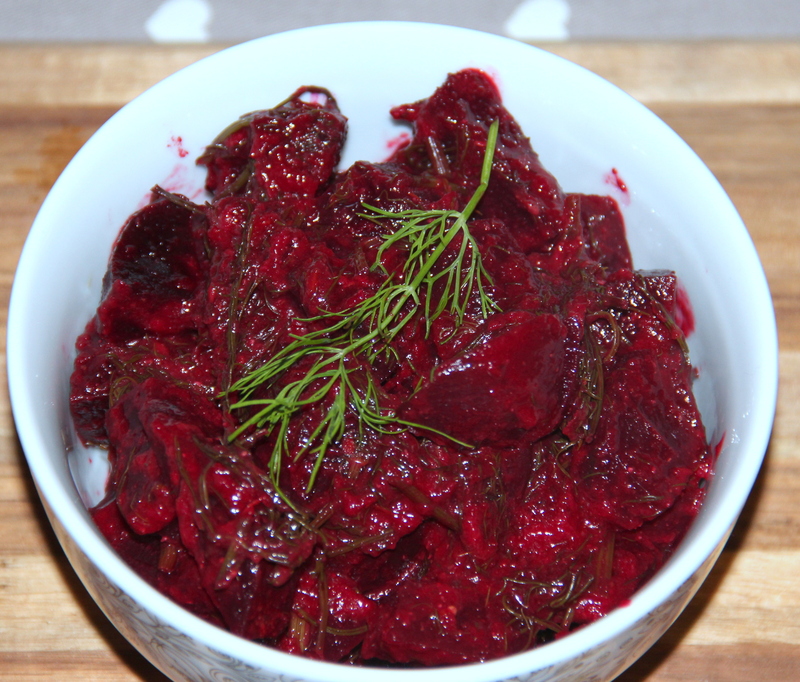 Here in this recipe I have tried to combine two unusual ingredients, beet and dill. The beet are just steamed and cooked in gravy along with the russian cousin dill weed was perfect, mellowing out that herb’s customary pungency and beets earthy flavour. Combine onion, tomato, ginger, garlic, chillies, almond, pista in a food processor/blender and whizz to paste. Boil water in a large pot and place chopped beetroot in a colander/steamer mesh and steam until tender. In a large saucepan add in the ground paste and cook on a medium-low flame for 3-4minutes. Now add in chopped dill leaves, steamed beet, salt,cumin powder, garam masala and saute for 3-4minutes. Then add in milk and simmer for 5 more minutes/reaches the desired consistency. Posted on October 13, 2014, in Indian, Side dish and tagged Zero Oil veggie recipes. Bookmark the permalink. 18 Comments. Yum!! 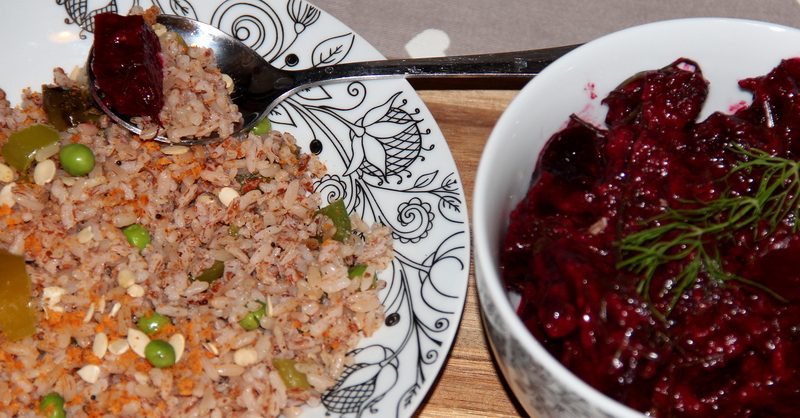 I actually love the combination of beets with dill. There is a Polish restaurant near where my parents live that serves beet borscht with fresh dill and dumplings, and it is divine. I like the idea of this dish!! I love the flavour of dill.. Though it has to be used sparingly coz it’s really intense. Beets and dill sounds unusual and very interesting! Surely gonna give it a shot.